Did somebody say shopping? We all need a little retail therapy every now and again. 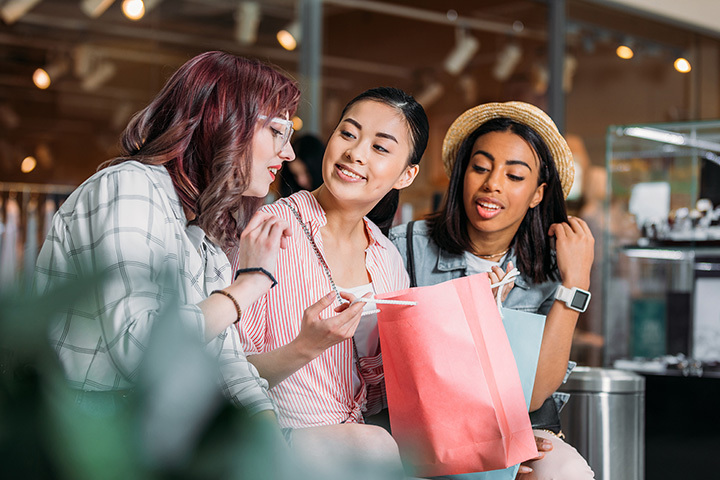 Whether you need a new pair of shoes, a dress for a special upcoming occasion, or a gift for a loved one in your life, Arkansas' great malls and shopping outlets will help you find just what you need. Here are the best in the state! Park Plaza is one of the most popular malls in the Little Rock area. This three-story building houses 80 popular stores like Sephora, Dillard’s, and Banana Republic. Take a break from your shopping and enjoy a meal at restaurants like David’s Burgers, Chick-fil-a, and Great American Wings. McCain Mall is another Little Rock favorite. You’ll find a movie theater and about 80 specialty stores here that include Aeropostal, American Eagle, JC Penney, and Rue 21. When you’re ready to eat, check out the restaurants like Longhorn Steakhouse, Tacos 4 Life, and First Wok. Ah, the Outlets of Little Rock…one of the best shopping experiences in the state. Here you’ll find stores like Zale’s Outlet, Chico’s Outlet, J. Crew Factory, Banana Republic Factory, Gap Factory, and much more! If you’re hungry, try the restaurants like Starbucks, Subway, or the Beef Jerky Outlet. How about 105 stores in one mall?! This outdoor mall features popular stores like Best Buy, Williams Sonoma, Build-a-Bear Workshop, and Pottery Barn. Fuel up at restaurants like P.F. Chang’s, Mimi’s Café, and Big Orange Burgers. The A to Z stores in Alma are perfect for bargain shoppers! From their Outlet and Tools & Hardware stores to their Furniture and Fashions stores, A to Z is a must stop spot to shop! This place has been voted one of the best spots to shop and eat in the Central Arkansas area. Check out great stores like DSW, Anthropologie, and Justice. Take in a movie at the IMAX theater. Grab a meal at restaurants like Ya Ya’s Euro Bistro, Local Lime, or A.W. Lin’s Asian Cuisine. This Little Rock shopping mall features stores like Maurice’s, Rack Room Shoes, Nouri Formals, and Rainbow. There are great restaurants, too, that include: Samurai Japanese Steakhouse and Sushi Bar, BJ’s Brewhouse, and Cracker Barrel. At the Hot Springs Mall, you’ll find classic mall stores like Dillard’s and JC Penney, Candy Craze and Claire’s, and Sears and Spencer’s. If you get hungry, grab some grub at restaurants like Corn Dog 7 or 5 Star Burgers. Good ol’ Central Mall. This place has been part of the Fort Smith landscape for decades. It features stores like Charlotte Russe, Abercrombie & Fitch, Crazy 8, and Revelation Gifts. The food court offers such fare as Geno’s Pizza, Charley’s Philly Steaks, and Chinese Gourmet Express. This fun outdoor mall includes stores like Hallmark, Belk, Scarlet, M2 Gallery, and much more. Restaurants include Newk’s Eatery, Bonefish Grill, and The Fresh Market.